RAPCO produces FAA approved new and overhaul exchange electric fuel pumps. 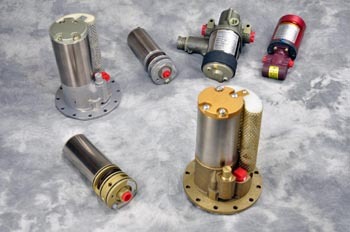 New RAPCO Inc. replacement fuel pumps are FAA-PMA approved as direct replacement parts. They are manufactured at our primary production facility in Hartland Wisconsin and are backed by warranty. Overhaul exchange Airborne and Dukes fuel pumps are produced in accordance under FAA Process Specifications at our Fleet Support Services division in Monroe Wisconsin. FAA approved repair station # NE5D064N. All units come with an FAA form 8130-3 and are backed by warranty. Both RAPCO new and Fleet Support Services overhaul exchange fuel pumps offer outstanding quality and value in an aircraft fuel pump.